By T Colin Campbell & T. M. Campbell (2017 rev ed). This landmark book is essential reading for a comprehensive study of nutrition and health. For many people, reading this book was the turning point in them taking up a plant-based lifestyle. By Michael Greger, MD (2015). An in-depth look at the evidence supporting a whole food plant-based diet. Dr Greger reviews the nutrition research and presents it for each chronic disease common to Western diets. By T Colin Campbell & H. Jacobson (2013). This is a must read for anyone interested in scientific research, nutrition and health. It provides an excellent analysis of how reductionist science dominates nutrition research and how a focus on individual nutrients leads to flawed conclusions. 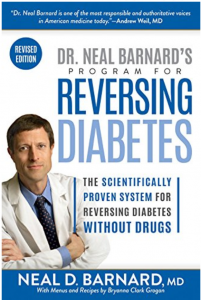 If you are wondering why the WFPB nutrition message is not more widely known, read this book. By Dr John McDougall (2016). Presents the evidence for the healthiest diet and exposes the flaws in low carb diets; includes the Color Picture Book and recipes by Mary McDougall. By Thomas Campbell, MD (2016). Originally published as The Campbell Plan (2015). Dr Campbell, co-author of The China Study, provides a practical guide to transitioning to whole food plant-based living. He answers the common questions people ask when shifting to a plant-based diet. It is written in a delightful style, accessible, fun but methodically accurate. Dr John & Mary McDougall (2012). If you want to buy just one book to understand how a starch-based diet can prevent and reverse many common diseases as well as gain practical tips for how to go about it… this is the book for you. By Alona Pulde & Matthew Lederman (2014). A great introductory book for whole food plant based eating. By Alona Pulde & Matthew Lederman (2016). A guide to raising healthy, happy kids on a whole food plant-based diet. Includes recipes. These books all advocate a whole foods plant-based diet to prevent, manage and reverse chronic diseases. By Doug Lisle & Alan Goldhamer (2006). Explains the Motivational Triad: the pursuit of pleasure, the avoidance of pain, and the conservation of energy. We are designed to seek out the highest calorie foods (greatest pleasure for the least effort) and the food industry knows this!! This is a must read book if you are struggling with losing weight or making healthful dietary changes. By Caldwell Esselstyn, Jr., MD (2007). Essential reading for anyone with heart disease. Contains low-fat “plant-perfect” recipes at the back. By Neal Barnard, MD (revised edition 2018). Whole Foods Plant Based Health is a participant in the Book Depository Affiliate programe.